Anyone born and raised in Indy knows the month of May in this city is something to behold. Starting in late April, checkered flags, racing attire, IMS memorabilia and cardboard cutouts of racing legends start popping up in stores and gas stations everywhere. Like fast-growing weeds. You can’t miss them. And for some of us, the thought of watching an IndyCar scream around a two-mile oval at speeds topping 225 miles an hour is nothing short of exhilarating. Guilty! This year’s Indy 500 got us thinking about high-functioning teams and what exactly it takes to get to the level of some of the greats like Roger Penske and Michael Andretti. For us, it all ties back to one simple thing: building a performance culture. It’s simple to say. Yet, not so simple to do. The key here is building it. The “Captain” Roger Penske didn’t achieve success overnight. In fact, he’s spent a lifetime—more than 50 years—building Team Penske into the powerhouse organization that it is today. Fan or no fan, there’s no disputing that he’s raised the bar on motorsports performance. And much of this is due to Roger’s unyielding regard and support for his team members. In fact, in a 2016 interview with Inc. Magazine, Roger said his most important asset is his people, or what he calls human capital. We’re sure Will Power’s at the top of his list right now! Having a solid strategy plays a key role in an organization’s overall performance. But strategy without good execution is only as good as the paper it’s written on. To achieve optimal performance, that strategy must live in an environment where it can thrive. This is where culture comes in. Culture is like the engine of an open-wheel racing car. It’s what drives the organization forward. If not properly cared for, it can stall performance. And, eventually, stand in the way of progress. In racing, the best strategy means nothing the second the driver loses focus and gets into the marbles. To stay in the zone and build a performance culture, we recommend sticking to these basics. Little should have to be said about the importance of human capital in building a performance culture. You need to have the right people on the bus, folks! For a performance culture to happen, there must be trust and authenticity in interactions between team members—at every level. To achieve this, leaders need to set clear expectations and define boundaries on what is and isn’t acceptable behavior. Much of this is driven, or at the very least influenced, by the existing culture. It’s also important that leadership establish defined roles and responsibilities for each team member—and that they hold employees accountable to these. Finally, building a culture of performance isn’t about just hiring good people and hoping they become engaged in the business. It takes a concerted effort to onboard, train and further develop staff in meaningful ways. Remember that your success depends on their growth and continued contributions to the team. So, don’t squash their ideas and be sure to appropriately recognize them for their efforts. Uses a merit-based system to identify high-, middle- and low-performers. Defines standards at the individual, team and organizational level. Requires goal-setting and self-reflection on the employees’ part. Establishes a transparent and consistent reward system. As important as your people, is your ability to make sure they have the tools they need to succeed. Imagine if the pit crew mechanic responsible for changing the left rear wheel on Helio Castroneves’ racecar didn’t have a powerful-enough impact wrench. Imagine if he tried his best but only got the lug nuts on halfway. What do you think would happen when Helio pulled back onto the track and hit the gas? It’d be disastrous! Granted, the Indy 500 is an extreme environment—one that leaves little room for error. And while most of us don’t work in this kind of high-stress situation, it still goes to show that not having the right equipment can impede our ability to get our job done right. The lack of proper tools, software, instruments or even instructions can also lead to a lot of frustration for staff. This, in turn, can trigger anxiety and lead to other bad behaviors such as creating workarounds or hiding certain information to avoid raising red flags. One example is not having the right tools or not enough equipment to do something safely. Through our work, we’ve seen situations where an employee didn’t have a piece of equipment readily available to him or her and to avoid slowing down others, moved forward with an action that was not safe. And afterward, when “nothing bad happens,” the poor behavior repeats itself and, sometimes, other employees pick up the same bad habit. Once in motion, this domino effect is hard to slow and stop. To avoid these chuckholes, we recommend making sure your team has what they need. Not sure if they do? Ask them. They’ll tell you what’s working and what’s not. Once you gather their input through face-to-face discussions, pulse surveys or town hall gatherings, you can review and decide which tools or changing in structure or environment might help close the gap. It’s no secret that one of the biggest barriers in business is a leader who thinks he or she knows what’s best for the team without ever asking them for their feedback. We’ve said it before. Some leaders think they know it all, while at the same time their frontline staff think they’re full of it. This usually stems from either a lack of two-way communication or, worse, a total disregard for employees. Neither is a good situation. We encourage clients to put their people first and engage in frequent interactions with their staff. We talked a lot about this topic in a recent blogpost on internal branding. Dialogue between staff and managers is important to your organization’s overall success. If you’re not already gathering feedback through surveys, 1:1 meetings and other team interactions, get moving! In addition to having the right people on the team, it’s important to be diligent about empowering your staff to make good decisions. This means giving them the information they need to do their job well. And stop micromanaging their every move! Instead act as their “spotter” and help them avoid situations where they might crash. This requires a high level of emotional intelligence and the ability to mentor and coach your staff. Because empowered employees are much more likely to go the extra mile to win, we encourage clients to develop leadership skills in all levels of staff. Help them understand and connect to the work their doing. Involve them in decisions about the company’s current and future states. Inspire them by providing regular communication that demonstrates a transparency. Allow them to weigh in on strategy. And most importantly, provide them with consistent messaging that connects to your organization’s mission. All of these are critical to building a performance culture. So how do you get the wheels moving in the right direction? First, you must have a deep desire to move toward a performance culture. Second, you must have leadership buy-in and commitment to the change. And, finally, you must have the courage to lay it all on the line and withstand the rough road ahead. Part of this includes having regular and honest communication and dialogue with your teams. 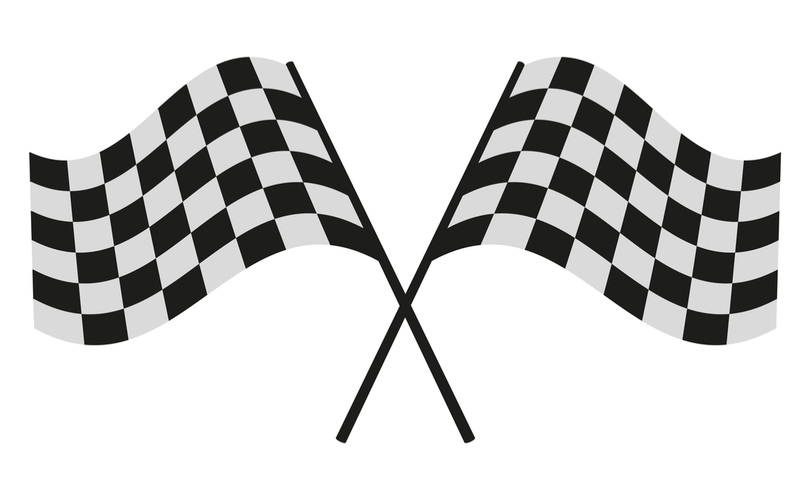 Your desire, combined with commitment, courage and communication, will help you claim the checkered flag. Just ask the Penske team. They’ve won the Indy 500 a record 17 times! Building a performance culture takes time, diligence and, quite honestly, a lot of grit. It won’t come easy. But with the right amount of focus and a strategic approach, it can be done. Just like Team Penske’s slow but steady race to the top of the leader board. If you’d like help in developing a strategy for success, we’d love to hear from you.